Ultron is a fictional Character that appears in comic books published by Marvel Comics. The character initially appeared in an unnamed cameo in Avengers (1968). Ultron was created by writer Roy Thomas and artist John Buscema. In 2009, Ultron was ranked as IGN's 23rd Greatest Comic Book Villain of All Time...More about Ultron Character Review - keep reading !! The visual appearance and powers of the character have varied, but common powers include superhuman levels of strength, speed, stamina, durability, and reflexes; flight at subsonic speeds; and various offensive weapons such as concussive blasts of energy fired from its optical sensors and hands, and an "encephalo-ray", which places victims into a deathlike coma. The latter ray also allows Ultron to mesmerize and mind-control victims, or implant subliminal hypnotic commands within their minds to be enacted at a later time. 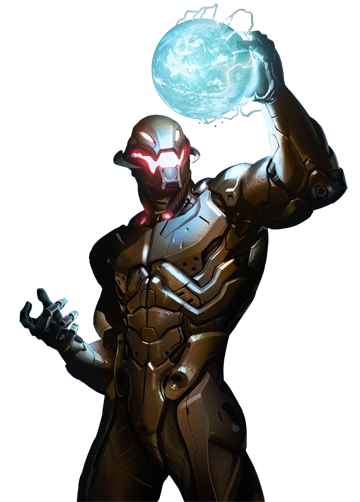 Ultron also has the ability to convert electromagnetic radiation into electrical energy for use or storage. Ultron has a genius intellect, a capacity for creative intelligence and self-repair, superhuman cybernetic analytical capabilities, and the ability to process information and make calculations with superhuman speed and accuracy. The character is an expert roboticist and strategist. Ultron's outer armor is usually composed of primarily adamantium, which is almost completely impervious to damage. (The first use of the term "adamantium" in Marvel Comics was made in reference to Ultron in Avengers, published in July 1969). 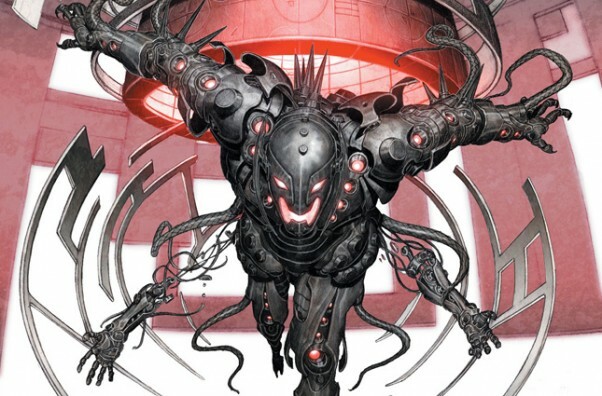 Most Ultron units are powered by a small internal nuclear furnace and incorporate a "program transmitter" which can beam part or all of Ultron's memory/personality system into other computer systems or duplicate robotic bodies. Ultron can also control other machines remotely. 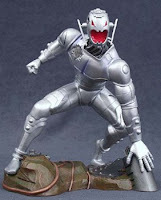 Ultron has occasionally reformed itself with a humanoid appearance above the waist and the appearance of a complex machine, including tractor beam apparatus for flight, below the waist. 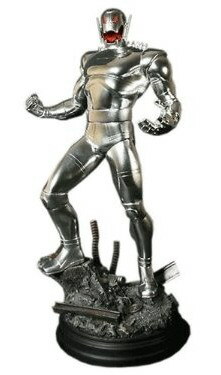 A later Ultron model developed hive-mind technology, allowing it to animate and control hundreds of alternate Ultron bodies simultaneously, although only the 'prime' Ultron was composed of adamantium while others were made of steel or secondary adamantium due to the lack of resources to give all the Ultrons adamantium bodies. Ultron also uses an internal molecular rearranger that renders the adamantium components of its workings more malleable and so have the ability to restructure his physical form. What circuitry Ultron has is carefully shielded to protect from damage, although the Scarlet Witch is capable of causing malfunctions with her hex power and Wonder Man was once able to destroy an Ultron by throwing it so hard its internal systems were damaged. Ultron appears as the main antagonist in the direct-to-video animated film Next Avengers: Heroes of Tomorrow, voiced by Tom Kane.